First, an admission - I don't know much about Nikola Tesla beyond the very basic gist that he developed a motor that worked on alternating current. Sadly, most of my familiarity with the man is through pop culture references, like David Bowie's portrayal of the man in Christopher Nolan's excellent movie, The Prestige, and, I think, an Assassin's Creed game or two. But, tell me you've got a cosmic horror novella with Tesla at the center of it all, and damnit, I want in! 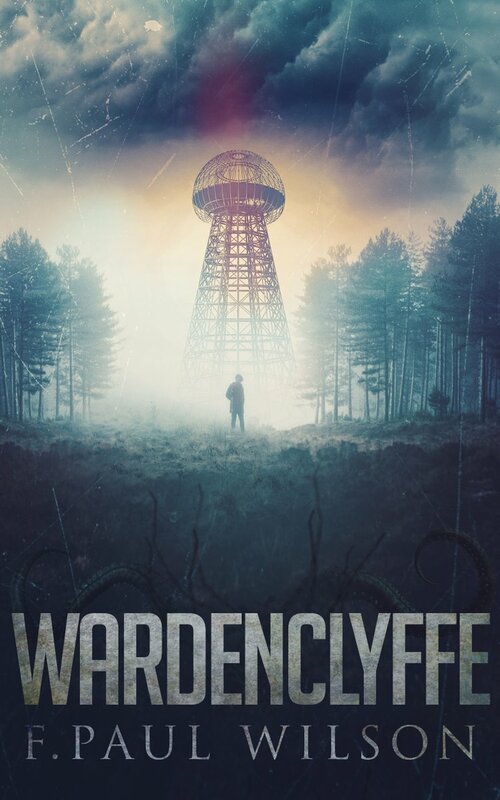 While I can't vouch for the historical accuracy of F. Paul Wilson's Wardenclyffe, I can confirm it's one hell of an electrifying work of cosmic horror. Having left his experimental station in Colorado Springs, Tesla has established a new facility, Wardenclyffe, in Long Island. His aim is to deliver to the world a radical new technology that will forever change the face of mankind - wireless power. By using the Earth itself as a conductor, the futurist believes he can deliver electricity all across the globe. Strange occurrences in the region surrounding Wardenclyffe, though, begin to arise, corresponding exactly with Tesla's experimental tests, unleashing something dark and ancient, and not of this earth. I'm a bit loathe to admit it, but Wardenclyffe is my first exposure to the work of F. Paul Wilson. I can guarantee it will not be the last, and I'll soon be on the search for a reading guide that will help me explore his labyrinthine Secret History of the World. I good and truly dug the concepts Wilson injects here, using Tesla's work to bring in a secret society alongside the rich elements of horror. On the horror front, there were a few scenes that actually gave me chills. As Tesla's associate, Charlie, begins to explore the odd happenings congruent to their work at Wardenclyffe, Wilson plumbs the depths of terror, building a lovely well of tension that puts a wonderfully intriguing spin on Tesla's work and the horrific implications of what his success could bring. Tesla's a futurist and believes his work can ultimately benefit humanity, changing the world for the better - but, what if he's wrong? Examining Tesla's work as one of folly, stumbling blindly into forces heretofore entirely unimaginable, Wilson absolutely nails the frightening power of the unknown. I also have to applaud Wilson for his inclusion of a diverse voice here in the form of Charlie. Charlie isn't the heteronormative man we're so used to seeing in horror fiction. Wilson frames the central narrative of Wardenclyffe, which occurs in 1903-1906, around later encounters between Charlie and Tesla in 1937 and 1943. These latter time periods allow for a good bit of social commentary on Charlie's place in the world, particularly a world that sees the Nazis growing in power, and the lengths he's been forced to go to in order to hide his secret. Charlie hopes that one day those like him will be able to live openly and freely, without worries of persecution. In too many ways, we're still waiting for such a day to arrive but, like Charlie, we must remain optimistic. Just as Tesla hopes to invigorate the world with scientific breakthroughs to better mankind, Charlie hopes, too, that the world will better itself through basic human decency and understanding. Like Charlie, I don't honestly expect this to occur in my lifetime, but maybe, hopefully, someday.